We have been invited to play next weekend at the Ozaukee County Fair! We will be on the Centre Stage from 1pm-5pm. We will be playing our first gig at the Mineshaft in Hartford tomorrow! We certainly hope you can make it and support this venue. 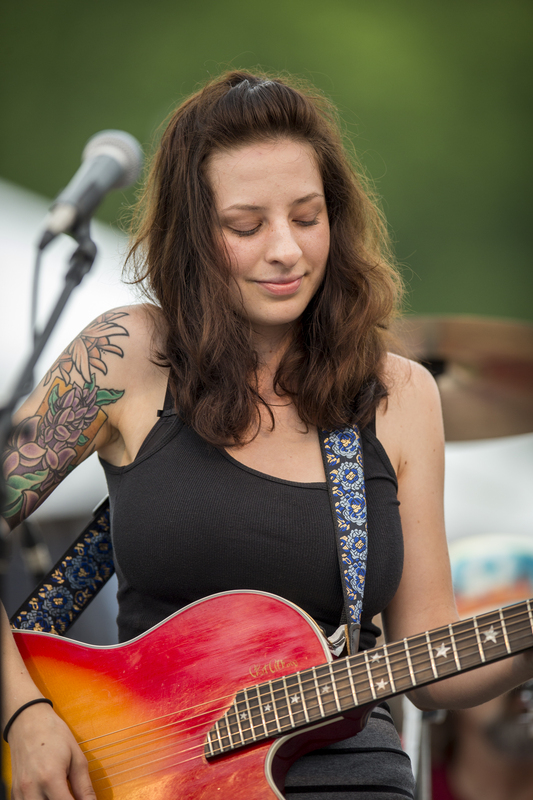 Photographer extraordinaire Jeff Zmania has posted his best photos from our gig in July at Bastille Days . We had an incredible time and all the smiles show it. Thanks, Jeff. 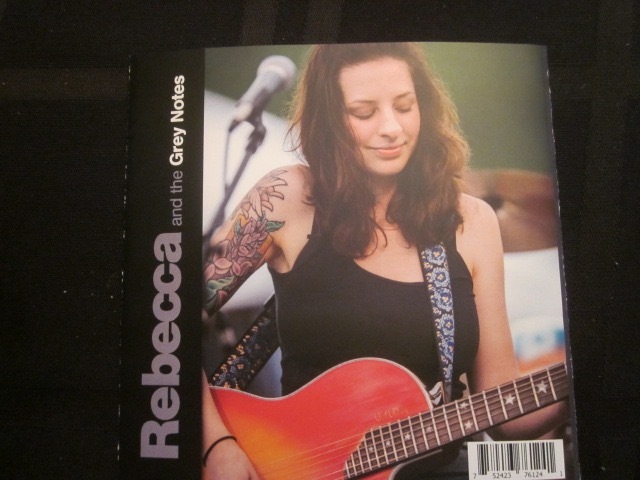 Thanks to everyone who made Saturday one of the best days ever for Rebecca and the Grey Notes​. 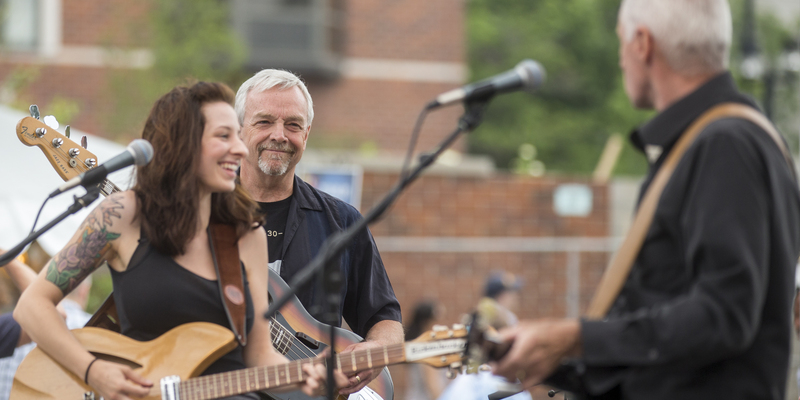 Thanks to John Ertl and Bastille Days​ for inviting us to play. Thanks to Door Peninsula Winery​ for sponsoring the live music stage. Thanks to the big crowd for giving us energy. Thanks to friends who traveled from Madison and Chicago and elsewhere to be there. And thanks to all of our family, friends and former co-workers who took the time to spend an evening with us. We really appreciate it. Late Friday we received the first printing of our new self-titled album, and sales were brisk on Friday night at the Lucky Rabbit in downtown Waukesha. You will be able to pick up your copy this evening (July 11) at the Door Peninsula Winery Stage at Bastille Days. We hope to have our five original songs and one cover song on iTunes and CD Baby by sometime next week. We are very proud of our work on our first album. Thanks to Third Ward Records for the studio time, thanks to Jeff Zmania for the incredible photography, and thanks to all our fans for making this possible. Thanks to everyone who came out to see us play Friday night at the Lucky Rabbit. We had a big crowd, and it was a great way to put the finishing touch on a great night of music in downtown Waukesha. Thanks to the Lucky Rabbit for inviting us to play. 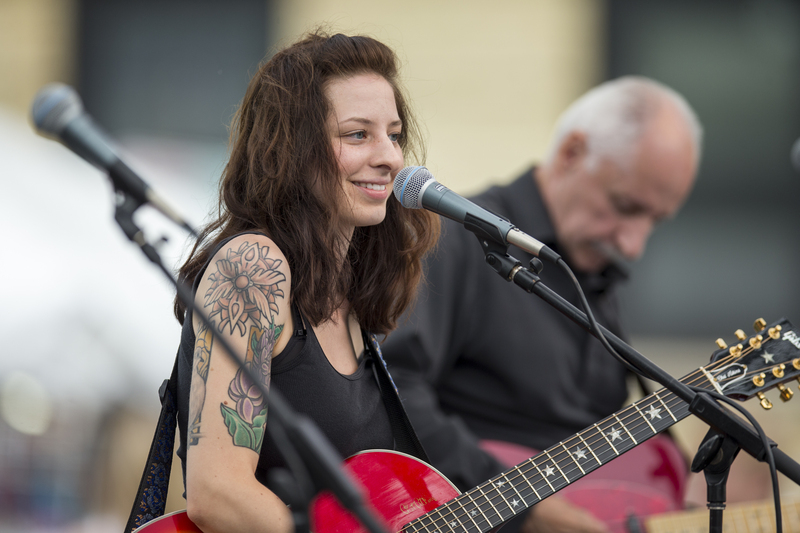 Next up: Bastille Days today, July 11, in downtown Milwaukee, 5:45 p.m.
We would like to thank Todd Fink and the rest of the Potawatomi Hotel & Casino crew for inviting us to play at the Fire Pit Side Bar last weekend. We had great sound and a great mix, and we really enjoyed playing to the holiday crowd. Next up: 9 to 11:30 p.m. this Friday, July 10, at the Lucky Rabbit, 200 Madison St., Waukesha; and 5:30 to 8:45 p.m. this Saturday, July 11, at the Door Peninsula Distillery Stage at the east end of Kilbourn Ave. in Downtown Milwaukee for Bastille Days. We are hoping that we will have our new CD ready for your listening pleasure for the Milwaukee outdoor festival, and we will be performing our five original songs from that album both nights. Hope to see you there.